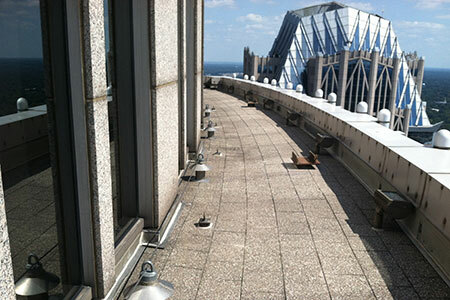 Horizontal Lifeline Installation | Peak Fall Protection, Inc.
Horizontal lifelines are designed to allow continuous safe access adjacent to a rooftop edge or other fall hazards. 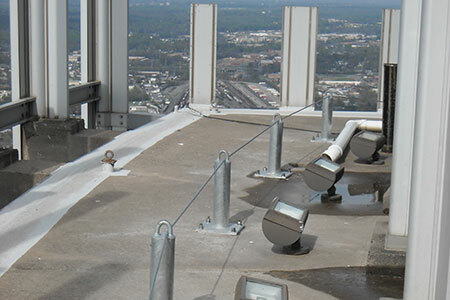 Horizontal lifeline systems are composed of anchor points and a cable system which are designed and engineered to provide fall prevention or fall arrest to the user. 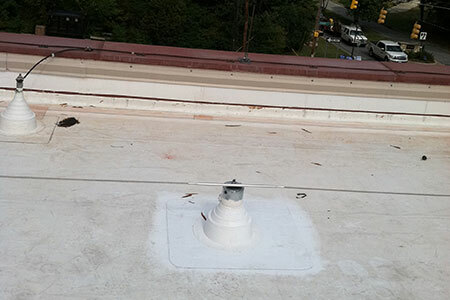 As an alternative to single anchor points, horizontal lifelines allow mobility along a fall hazard while minimizing the need for the system user to detach and re-attach to various anchor points. 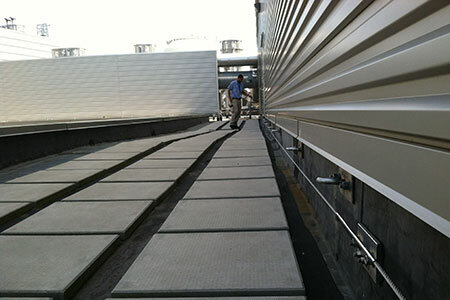 Peak Fall Protection offers two engineered horizontal lifeline options. Our dual lanyard system allows the user to travel the length of the system with use of a double lanyard, which allows 100% engagement as the user travels along the cable system with detachment and reattachment at the cable/anchor intersections. 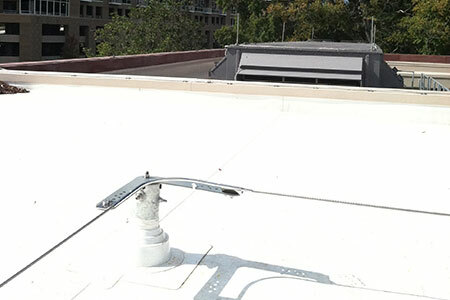 Our hands free system includes cable attachment brackets and travelers that allow the user to bypass anchor/cable terminations without need for detachment and re-attachment. 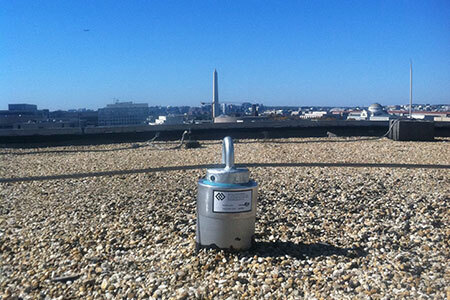 Peak Fall Protection provides design and turnkey horizontal lifeline installations for rooftop and industrial applications.